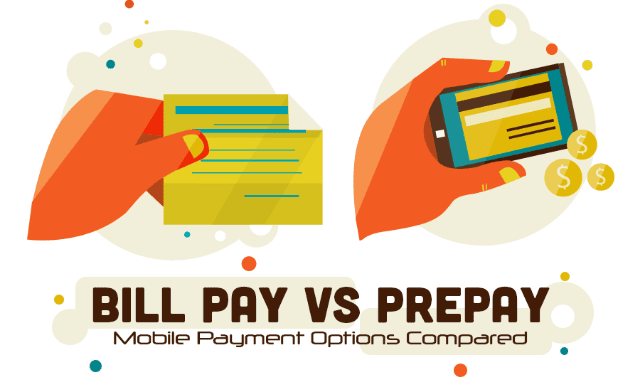 Bill Pay vs Prepay: Mobile Payment Options Compared #Infographic ~ Visualistan '+g+"
Some mobile users like the structure and organisation of fixed bill payments, while others much prefer the flexibility of prepaid top-up if and when it’s needed. Both options have their distinctive plus and minus points, so it’s a case of determining which plan best suits the way that you use your mobile. This infographic compares bill pay and prepay for mobile phone usage on several key factors, such as cost, ease of change and freedom of usage.